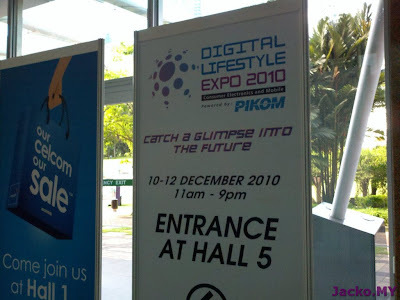 For local geeks, this could be the last gadget expo for 2010, the Digital Lifestyle Expo or DLE 2010 by PIKOM. This is the first DLE in Malaysia. 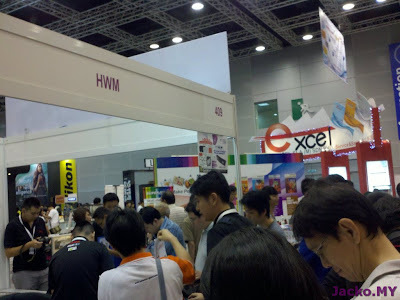 After talking to few exhibitors, this expo seems to be a rebranded PIKOM PC Fair to carry different concepts. 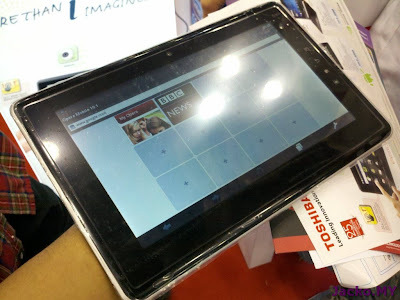 Visit to PIKOM site confirms what the exhibitors told me. 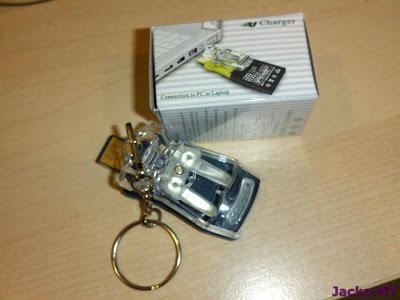 The expo is smaller scale than PC Fair, exhibiting more finished products and no DIY stuff i.e. 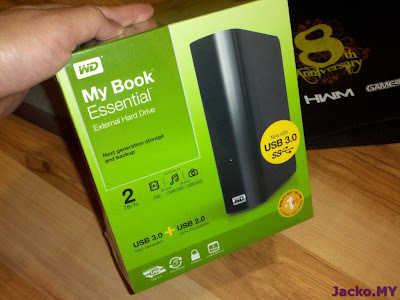 bare hard disks, RAMs etc. If this is the trend then may be we could expect less PC Fairs next year to make way for DLE. So with the new concept, what's happening in DLE? 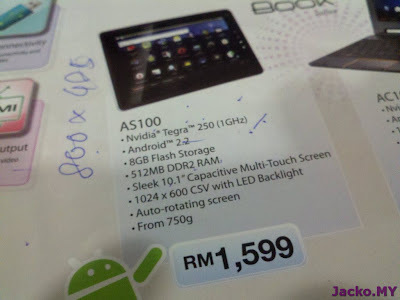 The Toshiba Android Table, AS100. 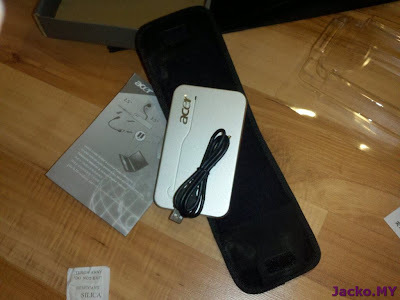 A few minutes experience on this device - it lags like hell and not impressive at all. 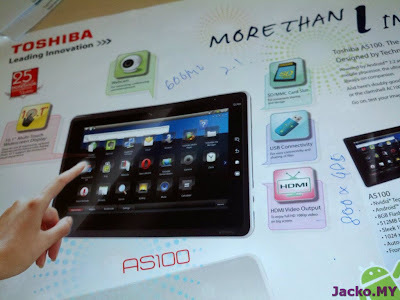 You would not have interest on it at all after you experience Galaxy Tab and iPad. 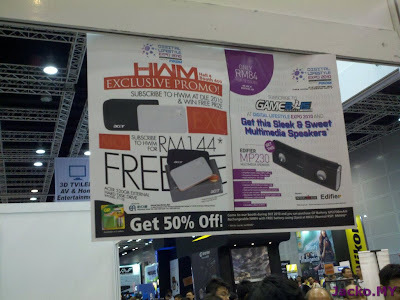 I believe HWM always gives away some freebies during PC Fair but this is the first time with free portable harddisk. 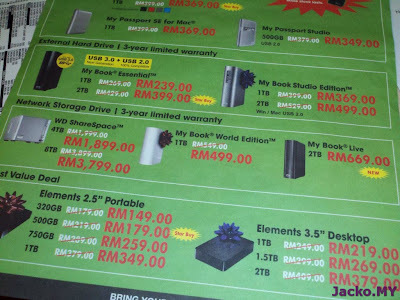 Since I am looking for a 500GB portable harddisk (I am fine with 320GB) and price for a 320GB platter is about RM150 in Low Yat, so this should be a good deal for my need. Since I hardly read physical books and the only book/magazine I read is internet, the magazine is just a plus as I can get tax rebate for it (and my peer tipped me I can sell to second hand bookstore for little cash in later!). Only 62 units per day up for grab. So reach there by 10:30am tomorrow to be the first in queue! Last day man! 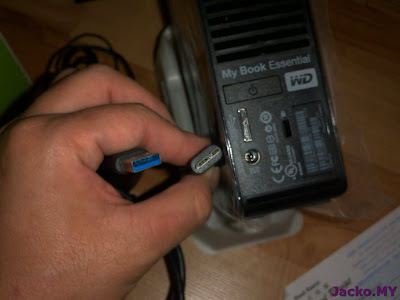 An USB charger. 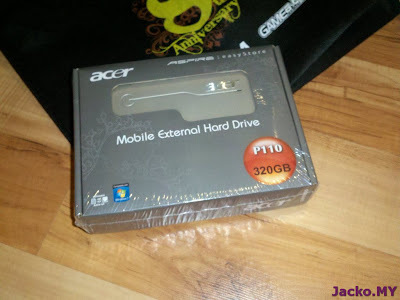 Looks interesting, let me figure out how to use it.